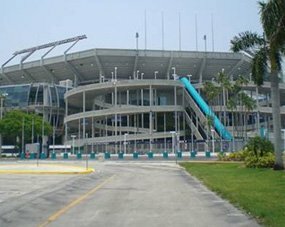 If you're looking for Port of Miami packages, you've come to the right place! 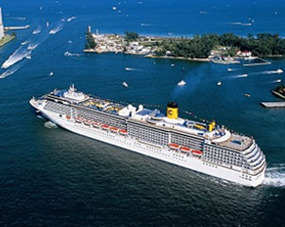 Quality Inn & Suites offers great cruise packages for guests intending to go on cruises. 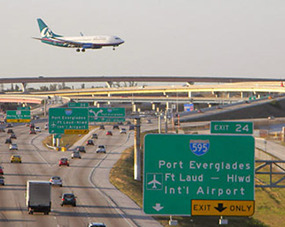 We also offer low-cost shuttle services to transport you to cruise ports and other destinations. Contact us today at 877-981-1800 to learn more about our services! Quality Inn & Suites on Hollywood Boulevard is among the best when it comes to Port of Miami packages. We cater to cruise-goers, offering low-cost rooms and all the amenities that they expect. You'll never have to sacrifice quality comforts for lower prices. We offer in-room perks such as FREE WI-FI, cable/satellite, refrigerator, microwave, iron and ironing board, plush sheets and mattresses, hair dryer, and a safe in each room. Our hotel perks include FREE hot and cold continental breakfast, business center, guest laundry, outdoor heated pool, sundry shop, and FREE 24-hour coffee. We're located near some of the best shops and restaurants in the area. 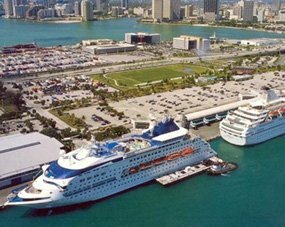 Our Port of Miami packages provide a more seamless experience during your hotel and cruise stay. Before you embark on your cruise, enjoy our grounds, especially our fountain area. Enjoy our FREE parking as well!